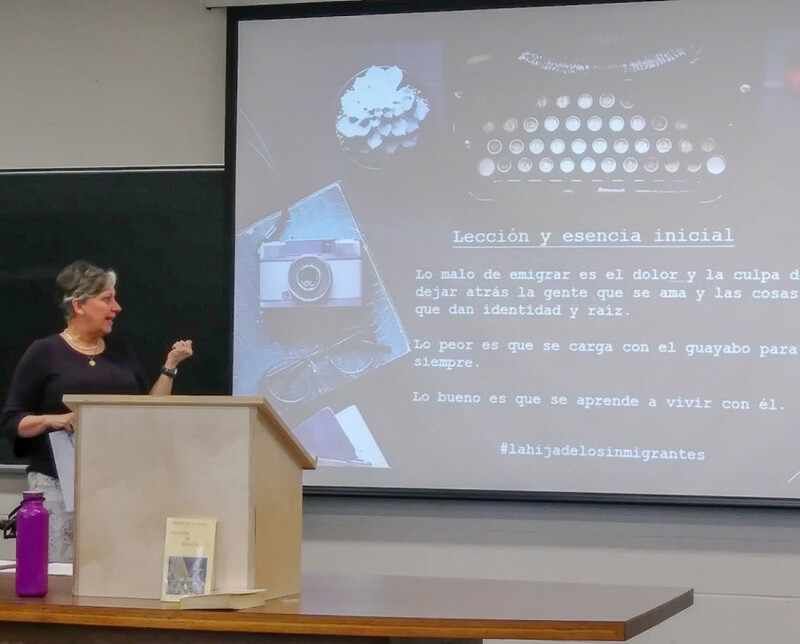 Erika Roostna touched the hearts of a number of Concordia students, with a preview of her upcoming book, La Hija de Los Inmigrantes (The Immigrants’ Daughter). Detailed and nostalgic, the book is a collection of memoirs, about her personal experience as an immigrant, transitioning from a Venezuelan fugitive, to an at-peace Canadian citizen. The conference was hosted in the Hall building on Feb. 28 by Concordia’s Linguistics professor Lady Rojas Benavente. Students were encouraged to listen to Roostna speak of her personal experience as an immigrant. Benavente hoped that her students would be inspired enough to one day write about their own experiences, and how their own parents felt towards the changes in their lives. Roostna is not a writer by profession—she is an engineer. However, she has recently taken an interest in writing her deepest thoughts, and boastfully sharing her roots as a Venezuelan immigrant in Canada. Although born in Venezuela, Roostna is of European descent. She calls herself a “daughter of immigrants” because both of her parents found solace in a country that wasn’t their own. “My father, Arne Roostna, is Estonian, and my mother, Elizabeth Javornik, is Slovenian,” Roostna said. Between 1945 and 1950, her parents lived as war refugees in Austria, before settling in Venezuela. While Venezuela seemed like a safe choice at the time, it soon became a hostile environment for Roostna, forcing her to seek refuge elsewhere. The political instability in Venezuela began to frighten Roostna, as she realized the danger her family was put in just by walking down the streets. “We didn’t have a declared war in Venezuela, but there was a lot of insecurity,” she explained. Before Nicolas Maduro, Hugo Chavez was the president from 1999 until his death in 2013. Venezuela had been dabbling with a socialist government for a while and Chavez’s handling of the national oil company. Riots have since taken place, and Roostna has participated in a number of them. Two years prior to her immigration to Canada, a landmark incident took place in Caracas in April 2002, called “Puente de Llaguno,” otherwise known as the Llaguno overpass. When the Confederación de Trabajadores de Venezuela (a national federation of trade unions) called for a coup-d’etat, a million Venezuelans marched against Hugo Chavez on April 11, 2002. In response to the strike, gunmen stood atop of the Llaguno bridge and began shooting the rioters. Luckily, Roostna was not present at the riots that day, but the massacre had still made its mark. It is as Celia Rojas Viger; PhD in Anthropology poetically said, “Poverty, and war are the two main reasons for immigration.” And war was Roostna’s ultimate push. Roostna regretfully stated that she has not gone back to Venezuela since. She does not own a Venezuelan passport, and cannot enter the country without one. When it comes to the publicity surrounding the Venezuelan crisis, Roostna believes that social media does a good job at raising awareness. Despite that, it’s still not enough. Since 2004, Roostna has settled in a quiet neighborhood in Bolton, Toronto with her husband, Noel, and her two children, Sabine and Noel Arne. When asked if she ever felt like a stranger in North America, she happily shook her head. Her family, however, did not share her enthusiasm at first. 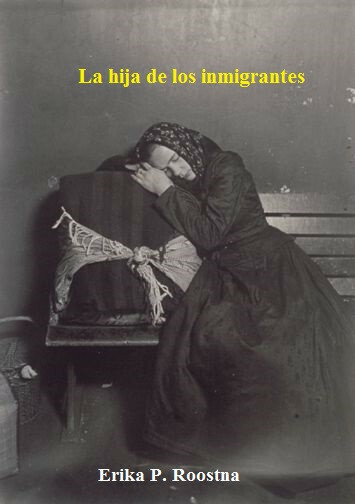 Erika Roostna’s book, La Hija de Los Inmigrantes, will be published in May. It’ll be published first in Spanish, but Roostna is not averse to translating her work. “Living in a place like Canada, and having friends that do translations, I’ll hopefully have it in other languages,” she said.